Due to growth in technology and environmental concerns, the need for raised access floors has increased more in offices than in computer rooms. In order to develop future-proof facilities, raised access floors are widely used to house critical services such as modular cabling for power, voice, data, and HVAC systems. 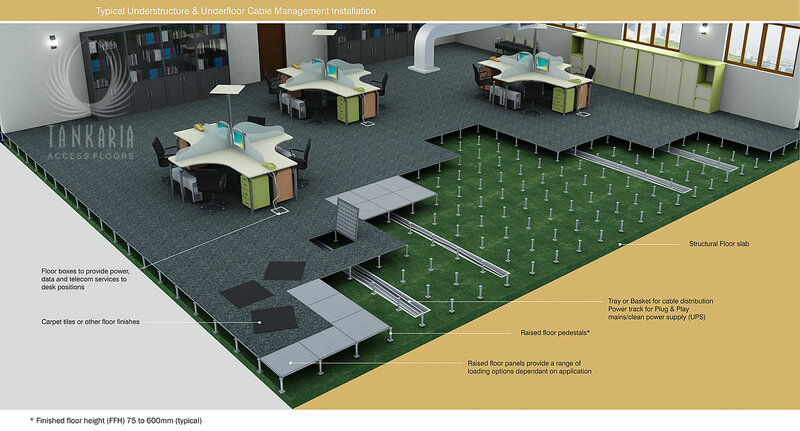 Raised access floors provide manageable infrastructure for changes in office layouts and technology deployment. With enhanced environmental performance, each of these elements contribute to create an integrated flooring system that is environment friendly, cost efficient and easy to adapt.